Edward Tat, program editor of emerging security, had the distinct honour of interviewing Ian Bradbury who is the founder of the 1st New Allied Expeditionary Force – a non-profit, peace support, humanitarian aid, and civil development aid organization. Bradbury is a subject matter expert of conflict stability, defense, and preventative counter extremism having served in the Canadian Forces as well as a number of Canadian federal agencies in addition to forming Terra Nova Strategic Management – a consulting firm providing multidisciplinary services. He also sits as a NATO adviser for stability policing under the NATO Center of Excellence. Tat: By now, the situation in northern Iraq has been heavily publicized by the slow decline and eventual collapse of Daesh along with the uncovering of atrocities committed by the group. With Daesh recently losing nearly all control on major Syrian and Iraqi cities, what exactly will Syrian and Iraqi survivors of the terrorist group expect to face in their everyday lives? Dedicated efforts to establish peace are undertaken by a global coalition. A global coalition that is capable to both provide for the wide range of social needs (to the whole of the populations) present and the rebuilding of housing, infrastructure, and services in a manner that empowers the populations. Failing that -as it relates to the lives of local populations -it is an extremely unpleasant scenario to predict, in addition to being one that would have far reaching global impacts beyond those already experienced since the rise of the Islamic State. The present situation of heightened tensions, coupled with poor access to basic support and services, has created an environment where organizations other than The Islamic State, such as the Iranian backed Popular Mobilization Units (PMU), working to destabilize and consolidate power gains have opportunity to flourish relatively unchecked. We are witnessing tensions immediately re-escalating in a number of areas due to the presence of multinational groups who are now fighting what can be described as more traditional enemies. This is happening in areas that were already suffering the lingering effects of the failed caliphate and against communities still reeling from the atrocities committed by adherents of the Islamic State ideology. As non-local forces with questionable intent and actions continue to take control over the space lost by The Islamic State, coupled with the irreversible battle damage of preexisting infrastructure and territories, the majority of citizens in these regions still face uncertain times ahead. Many cases exist under grave circumstances when considering the perspectives of internally displaced persons, and religious and ethnic minorities within this space of discussion. These challenges can be clearly noted in areas such as Sinjar and Dier-Ez-Zor and have been growing in complexity since early fall of this year. Operating with near impunity, groups such as the PMU will continue to capture ground, which was previously lost to The Islamic State, while committing acts that have been deemed criminal by some ethnicities within Iraq and Kurdistan Regional Government territories alike. When these movements are viewed in combination with the threats posed by pockets of Islamic State holdouts, along with fighters from dozens of other paramilitary organizations and militias, the immediate-term potential of violence increases to untenable levels. The violence potential that the average citizen is predicted to experience over the next five years is unprecedented since levels assessed during the early days of the Arab Spring. Should current conditions hold fast the coming successive waves of violence from factional competition is expected to place an even greater strain on a fragile social services system, one that is struggling already to accommodate refugees and Internally Displaced Persons from the current violence along with members of the non-displaced population. With limited international involvement towards a cohesive reconstruction effort being seen at present, together with limited assistance being provided to ‘at risk populations’ in camps, the average citizen in the region faces a future without enough food, water, sustainable shelter, schooling, employment, or access to anything beyond basic medical care. The above noted concerns will impact locals over the next three years by creating the conditions whereby a new round of insurgency forces can exploit the populace’s suffering by offering basic necessities. The presence of such forces allows for an opportunity to feed and care for fighters and their families more than the strained system is currently capable of supporting. Young men will become fighters for whoever can promise pay and food, and men will support demagogues who have been able to promise and deliver only marginally more than the current state. Daily, children and youth will be further influenced, indoctrinated, and recruited towards more extreme ideologies, with violent tactics, simply because parents will believe it is a better chance for them to survive – ultimately creating an environment primed for ignition of another outbreak of genocidal violence. The atrocities committed by the Islamic State are many and continue to unfold. From the horrific beheadings, cage burnings, torture killings, genocidal killings, rapes, slave trade there are more than enough to fill a publication on their own. It must be carefully noted that The Islamic State in Iraq and Syria has not been defeated – it has simply lost territory within those two countries (and the capital of its first stated caliphate) the ideology continues to proliferate. The fact remains that adherents are establishing new collaborations and are reinforcing power bases in Libya, Afghanistan, and other regions globally. This is happening concurrently to leaders, fighters, and supporters returning to their home countries to continue their ideology driven offensive. Along these lines, we must also be careful to note that the use of the regional title of “Daesh” when referencing the Islamic State may be problematic for western audiences. The word “Daesh” is an acronym of the group’s early Arabic name – “al-Dawla al-Islamiya fil Iraq wa al-Sham” – “Islamic State in Iraq and Syria” or “Islamic State in Iraq and al-Sham”. When it is said it has negative connotations that are understood by local populations that do not translate to English with the same effect. I always recommend using the term “The Islamic State: when referencing adherents or groupings to ensure a clear understanding. This ideology will continue to be both an ongoing threat through global expansion and dispersion. Tat: There seems to be a great amount of newfound tensions in Iraq, specifically concerning the Kurdish population in the northern areas of the country. What are the sources of these tensions? How serious is the situation as we speak? Bradbury: The conflict that exists within Iraq between the Kurds and the Iraqis has existed for generations. It is filled with violence, subversion, genocide, and incomprehensible hatred. It has many “grey” aspects. Lines are blurred and territory is contested. In truth, this remains true when viewing the history of Kurdish populations in Syria, Turkey and Iran. The Kurds’ struggle for human rights, political representation and independence is deeply rooted in the culture of Kurdish people regardless of which host country they reside within. Tribes and members of the populace across these nations have identified in one form or another as “Kurdish”, and have been targeted for both subjugation and or eradication for this self-identification, reaching back as early as 184 BC. The most current referendum that was held in the Kurdistan Regional Government areas of Northern Iraq, stem from over 20 generations of strife and conflict centering around Kurdish autonomy and independence. Exercised as it was, peacefully, democratically, and near unanimously, it served as a model for what the democratic process could achieve in the region. Unfortunately, however, another cry for self-determination has been answered with moves to further suppress the voices that spoke out in favor of it. Since this event we have seen combat unfold between Canadian partners of the coalition against The Islamic State. 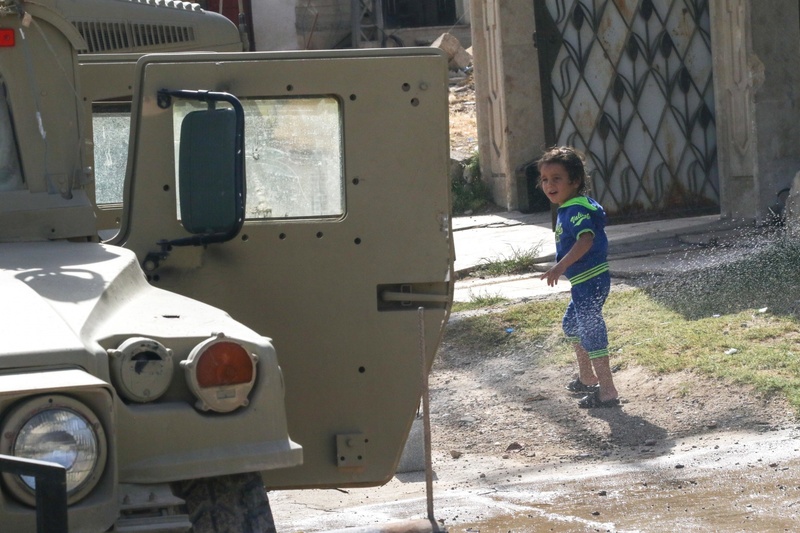 We have seen multinational militias and forces commit attacks against civilians. And we have watched Iranian power increase significantly within the space. As history has shown, without effective interventions in these times, continued violence and increased regional threats is the result. It can easily be said that the situation in Iraq between the Iraqi government and Kurdish peoples has reached its limit and requires dedicated global intervention to prevent an escalation of violence, further regional destabilization, human displacement, and new civilian deaths. Tat: The Kurdish situation today sounds very similar to what had happened in the aftermath of the 1991 Gulf War. Things have changed, of course, and those that had committed atrocities then are now out of power. The Iraqi government today was a close partner with Canada in the fight against Daesh. With the Iraqi government planning to clamp down on the Kurds once again, how should Canada and the world deal with the current Iraqi administration? Bradbury: As humans, we often find it easier to lay blame for atrocities committed by many at the feet of the few. In this example from the early 90’s it was the feet of Saddam Hussein’s Ba’ath party where blame was placed. The fact remains that reality is never as simple as a systemic failing being responsible for the immense crimes against humanity that unfolded. The Iraqi attacks that took place against the Kurdish population in 1991 were made possible not because of a single political party dominating a parliamentary system, but, instead, because of multi-generations-long ethnic differences. Crossing the cultural line from Iraq to Kurdistan is an entire ethnic shift in populace bases that draw ties back to many mutual grievances on both sides. Retaliatory restrictions, coupled with political and military posturing, have rekindled memories not of Ba’athist soldiers firing from helicopters, but of those soldiers being Arab and targeting ethnic Kurds. Ostensibly, there is no chance for an objective conversation between the two groups when Kurds’ fear is another round of persecution and eradication, due to the absence of a strong mediation partner working honestly to be a broker of peace. Understanding that the Iraqi Government was/is a strong coalition partner in the fight against the Islamic State, we cannot turn a blind eye to the Kurdish question that remains a cause for civilian harm and the oppression of human rights that is occurring against Kurdish people at the hands of our other partners. When viewing the extent of grievances and threats to civilian populations that are present in the Iraq/Kurd scenario, I would venture to suggest a somewhat unpopular opinion and state that the most viable option to support would appear similar to what was seen during the recent formation of South Sudan. This would include aspects such as an international peace keeping force (that would include both Kurdish and Iraqi forces), a focus on deescalation and deradicalization delivered in conjunction with humanitarian, infrastructure, and civil development engagements. These operations would be enhanced by State level negotiations, conducted in good faith, between Baghdad and Erbil and would be monitored by a coalition of volunteers who agree to work alongside both groups to broker a peaceful separation. Such a strategy would have the capability of curbing future ethnic and systemic violence perpetrated against the Kurds. Tat: I think everyone remembers Prime Minister Justin Trudeau’s promises for a greater role for Canada on the world stage, especially in conflict resolution. Do you believe that Canada has a role in the region? What exactly do you think that this role should be? Bradbury: I believe that as Canadians, we have a unique capacity to incorporate complex social divisions into a functioning and prosperous society. Our own nation is divided into semi-autonomous nations represented by our provinces and territories. Each nation of our nation contains a cornucopia of cultures, First Nations, and “Nations within a Nation”. Our memories of blood spilled to create the Canada we know are exactly that, memories. We take pride in the fact that they are distant memories to our people. We shout it to the world as our slogan that Canada is a land of peace and prosperity free from the strife seen around the globe. Many in the world can only dream of what it might be like to have what each and every Canadian enjoys, simply by virtue of being Canadian. Today, as we enjoy our democratic rights and freedoms here at home, the Kurdish people within Iraq are facing the stated “dismantling” of their nation within a nation, by force, with western weapons being used to shed the blood. Western involvement in the region needs to take a separate track than it has in previous decades. Instead of focusing on a stance of armed intervention we should instead consider a model that focuses to deescalate conflicts before they begin. This can most easily be accomplished through a model that focuses on stabilizing the populace by assisting in securing necessities such as food, water, shelter, and access to medical care while simultaneously creating a buffer between the at risk populaces and armed groups. As to Canada’s specific role, well, I cannot help but consider that throughout modern history Canada has answered the call to protect vulnerable peoples around the globe. We have committed our external affairs to development and peace building. We have committed our troops to Peace Keeping, Peace Stabilization, and Peace Making missions the world over. Canada is the nation of the world best known for its capacity to create positive futures during the most viscous conflict scenarios. We have done so since our nation was born 150 years ago. This fact is, pointedly, a most prestigious hallmark of Canada. I feel that our experience would go a long way to turning conflict within this space if we were to commit to taking a lead role in the region by calling for the creation of a peace stabilization force to prevent increased Iraq and Kurd conflict, help to build that force from the command levels as an architect for peace, and act as an honest broker towards long term conflict resolution. Quite frankly, the long term scenarios unfolding within this space will have far reaching effects if continually allowed to slide towards renewed conflict that Canada and the world at large cannot ignore, someone has to step up, why not our great nation? Tat: Similar to the Iraqi government, the Assad regime in Syria has become bolstered by the end of its most powerful threat to sovereignty thus far. What is expected of the regime now? Bradbury: The Assad regime, while it has survived the uprisings of the Arab spring and the follow on impacts of The Islamic State, has a number of its own atrocities to answer for to its people and the global community. The use of chemical weapons in Saraqib, Ghouta, and Khan Shakoun by Assads’ forces, for example, should be considered and treated as war crimes – this consequently opens the discussion of if the regime even should remain in power. It is a challenging discussion, but one that is required if we are to take seriously any efforts to stem the use of such weapons in future iterations of conflict. Restoring local governance in a fashion that is supported by the local populations. 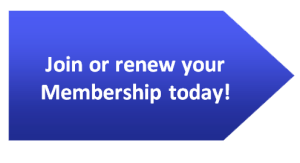 Rebuilding the mechanisms of civil-society and living support. Establishing capacity to provide meaningful restorative justice for victims of violence. Develop new and innovative employment models to reduce unemployment. Establish modernized education systems to help children and youth recover lost years of learning. Expectations of the regime moving forward should include full acknowledgment and responsibility for their own culpability in the commission atrocities, concurrent with a cohesive plan to transfer authority back to a democratically elected parliament. This is my pipe dream. Tat: Obviously, global powers like Russia or the United States have a clear interest in securing the region. Do you anticipate superpowers or the UN to get more involved in northern Iraq anytime soon? Bradbury: If global powers wish to secure the region, it will require dedicated social-centric programs to help the lives of the people and rebuild the state infrastructure to support them. Sadly, this is not something that is being seen, what we are seeing is the main powers taking a step back in a sort of, “let them scrap it out themselves mentality” – all the while propelling money, weapons, and other assets into the space. We have seen this unfold already from both Russia and the US in both Iraq and Syria, with moves continually taking place. Within many aid and assistance circles the need for a UN type peacekeeping intervention has been a point of note for months, if not years. The goal of such an intervention would be to deescalate Kurdish and Iraqi tensions, to create a buffer between conflicting parties that will allow for protection of civilians in disputed and recovering areas, and to foster the conditions that will allow for peaceful resolution of disputed between Baghdad and Erbil. Anyone working within the space has noted the rising tensions and increased instances of violence building as the fight against The Islamic State waned and would like to see this mitigated. As to whether or not I anticipate increased UN involvement, as much as I would like to see it, I cannot state that I feel this is something we will see outside of, perhaps, some increased aid/development programing. Ultimately, the “what to do” about these tensions is a consideration whereby the decisions made, or not, will set the stage for the upcoming decades in the Middle East – it will be interesting to see what sorts of power moves are made over the coming 12-24 months within this space. Tat: Let’s talk more generally about post-conflict issues. Deradicalization has been a challenge in the West where homegrown terrorism has become a serious security issue in the 2010s. In what ways is the deradicalization process in conflict zones like Iraq different from that in Canada? Does deradicalization work and how effective is it? Bradbury: The simple fact of the matter is that deradicalization efforts at the most fundamental levels differ little between Iraq, Syria, Canada, and the United States. They consist of in-depth psychological treatments aimed at reversing the damage inflicted by indoctrination and healing the immediate wounds – then progressing through techniques and programs devised to guide the individual towards embracing the common values of society once again. As with any treatment regimens involving human psychology there is no one pill fixes all, in truth, there is no one category of pills that may fix all. Depending on the severity of radicalization and the acts committed it should be acknowledged that some persons will not be able to recover and return to function as contributing members of open society. Frankly, we must have comprehensive policies and programs in place to contend with these individuals, we do not presently. In all regions of the world, the prevention of radicalization (of all forms) begins in the community and involves identifying and reaching out to the most affected people. Here in North America working alongside at risk communities to inspire ownership and pride in their neighborhoods, and to foster bonds with all of their neighbors, is fundamental to preventing radicalization. This is most effectively done through delivering community-centric programs that fulfill localized needs, and by fostering cooperation and cooperative development projects that immediately benefit residents. It is through working together, demonstrating that people are equally human and integral members of a community, when long term stability begins to evolve and improve. A positive example of this type of programming would be the sesame street programs delivered in Afghanistan and their new focus, which recently received $100 million in grant funding, for programs directed towards Syrian children. Do these programs work? Yes and no. My personal belief is that this relatively new field of practice is still developing. There are examples where deradicalization efforts have worked, there are equally as many examples where they haven’t been successful. Even those that were unsuccessful help the field become better by closely assessing the lessons learned and best practices that can be gained from those programs. As deradicalization gains increased attention and support from governments, civil-social organizations, and populations alike, we will see them become more effective. With luck we will continue to see a steady increase in support over the coming decade. Photo: An Iraqi child plays in the sprinkler on a recently-liberated neighborhood in west Mosul while Iraqi security forces, supported by Combined Joint Task Force – Operation Inherent Resolve, continue to annihilate ISIS in its stronghold deep within the city, June 7, 2017. By Staff Sgt. Jason Hull via U.S. Army. Public Domain. 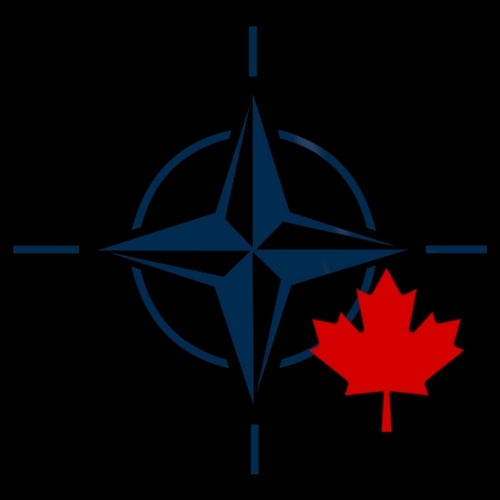 and do not necessarily represent the views of the NATO Association of Canada. 2018: New Year, Same Politics?